This is a CO’s Parade for all cadets! Dress: All Cadets will wear C2. This is the blue short sleeved dress shirt, tie, and tunic. Bring a water bottle, pen, and paper with for your classes, and for taking notes throughout the night. Cadets should eat dinner before coming to cadets! The Annual Ceremonial Review (ACR) is coming up soon! There are five weeks until ACR!!! Everyone should be working on their uniforms on a weekly basis! This means that pants should be ironed, boots should be shined, and badges should be in the correct place. Once again if you are unsure where your badges go then take a look at Mr Fisher’s post under the references forum. If you have any concerns with your uniforms then you can talk to your flight commanders! All parents are welcome, please join us for this. If you couldn’t make a meeting all year this is the one to attend. The meeting agenda was sent out via the email list. If you are not receiving the email from SSC, please send an email to 781aircadets+subscribe@googlegroups.com and follow the instruction afterwards. 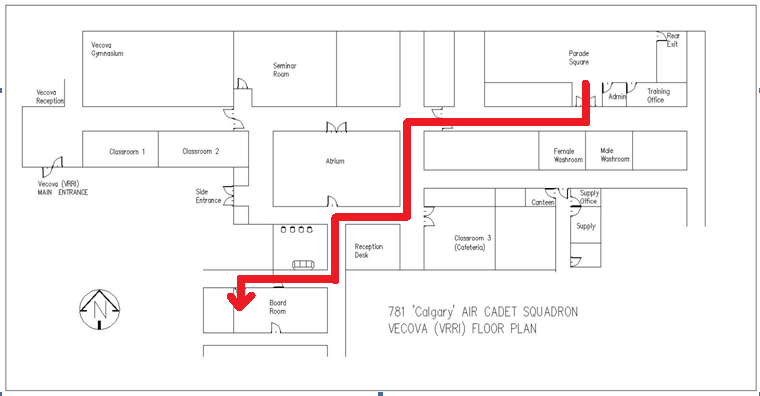 You will be setup to receive email communication from Parents Association of 781 Squadron.